Providing our clients and businesses with first-class and professional financial advice, strategy and execution. 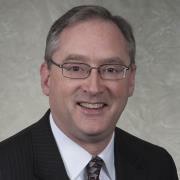 Dave is the managing partner of the Jorgensen Group at Morgan Stanley. His daily responsibilities include investment management, risk management and business development. Dave's career in business began with The Hartford Financial Services Group, working out of their New York City office, first as an institutional wholesaler and then as a retail consultant to major bank and brokerage clients. He then moved on to become Vice President of the Sports & Entertainment Group at Lenox Advisors, a wealth management firm in midtown Manhattan, where he was responsible for managing the unit’s marketing, sales and operations. After spending 8 years working in New York City, Dave moved his practice to Hartford, CT, and formed the Jorgensen Group at Morgan Stanley. He holds FINRA Series 6, 7, 31, 63, and 65 securities licenses, as well as life, accident and health insurance licenses in several states. Dave has a broad array of business and individual clients ranging from business owners to professional athletes and has done business worldwide. In 2015, Dave was selected as a Five Star Wealth Manager by Connecticut Magazine. Dave also began to serve his community at an early age. He serves on the Investment Committee of the United Way of Northern Connecticut, has served on the City of Hartford Police Review Board, Planning and Zoning Commission, as Vice Chairman of the Hartford Redevelopment Agency and Chairman of the Hartford Police Athletic League. In 2012, he was appointed by Gov. 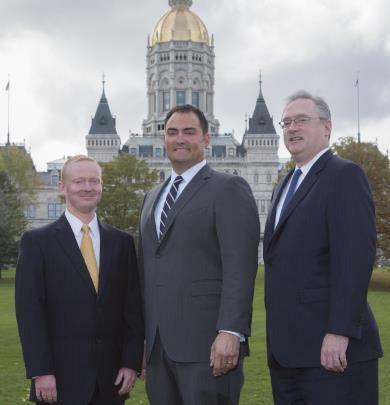 Dan Malloy to the board of the Capital Region Development Authority, a State of Connecticut quasi-public agency charged with economic and housing development in the metro Hartford area. Dave grew up in Hartford, CT, and attended prep school at the Avon Old Farms School, in Avon, CT. He earned an athletic scholarship to the University of Florida, where he was a 3-year starter for the Gator football team and won an SEC Championship in 2000. He currently lives in Hartford, CT, with his wife and 3 children. 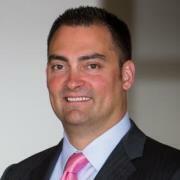 Rob Moquin is a Financial Planning Associate and Financial Advisor with the Jorgensen Group at Morgan Stanley. He concentrates on financial planning, corporate retirement and lending services for business owners and executives in both their professional and personal lives. Rob graduated from Le Moyne College in 1986 with a Bachelor’s degree in Business. From there, he joined the General Motors Acceptance Corporation where he rose to the level of Operations Manager in charge of the analysis of financial operations. While working in the financial services industry, he earned his MBA with a focus on Finance and Organizational Behavior from The Whitman School of Management at Syracuse University in 1992. He joined Morgan Stanley in 2005. With over 28 years of experience, Rob brings a level of proficiency to his position. He listens to his clients’ needs and uses them as a starting point to develop and execute specifically tailored financial solutions. He also understands the importance of continuously reviewing those solutions in an ever-changing environment. He has earned the Chartered Retirement Planning® designation, as well as his Series 7, 31, 63, and 65. 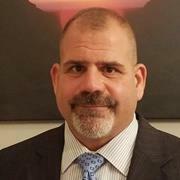 Rob is a founding member and current Vice President of The Exit Planning Exchange of Connecticut, an organization dedicated to the advancement of professionals working with business owners. He is also an active member of the Connecticut Automobile Retailers Association. In his free time, Rob serves his community by supporting his church and the Knights of Columbus. He also enjoys golf and spending time with his wife and three daughters. In 2017, Dean joined Morgan Stanley and became a member of the Jorgensen Group at Morgan Stanley in 2018. He works with clients in the areas of financial planning, retirement planning and investments. With a commitment to serving others, Dean enjoys working with clients to assist them in planning for a more secure future, utilizing the interpersonal and risk management skills he has developed over the course of his professional life. Dean spent the first half of his career serving the citizens of the State of Connecticut in the Judicial Branch, Department of Probation. Prior to joining the Jorgensen Group at Morgan Stanley, he managed the personnel and budget of a state-wide Officer Safety Training Academy. Additionally, he served on several multi-disciplinary committees, including the Governor’s Task Force and a multi-agency joint strategic planning team designed to address the needs of juveniles. During his final years in state service, Dean collaborated with federal, state and local law enforcement agencies reaching contractual agreements to provide enhanced training law enforcement officers in order to meet the highest standards of public service. Dean left state service with over 20 years of experience, developing exceptional communication, planning and organizational skills from working in managerial and cross-department environments with federal, state, and local stakeholders. Dean holds his FINRA series 7 and 66 securities licenses, as well as Life, Accident, and Health Insurance licenses. Dean is a registered Advisor in over 25 states. In his free time, Dean enjoys carpentry projects, golfing, visiting his two children in college and spending time with his wife and four children at home. Ready to start a conversation? Contact The Jorgensen Group today. 18GlobalCurrency deposits are held at Morgan Stanley Private Bank, National Association ("MSPBNA"), Member FDIC. Morgan Stanley Smith Barney LLC and MSPBNA are affiliates. Morgan Stanley Smith Barney LLC is a registered broker-dealer, not a bank. Unless specifically disclosed in writing, other investments and services offered through Morgan Stanley Smith Barney are not insured by the FDIC, are not deposits or other obligations of, or guaranteed by, a bank and involve investment risks, including possible loss of principal amount invested. FDIC insurance does not protect against losses due to exchange rate movements. 23Morgan Stanley’s investment advisory programs may require a minimum asset level and, depending on your specific investment objectives and financial position, may not be suitable for you. Please see the Morgan Stanley Smith Barney LLC program disclosure brochure (the “Morgan Stanley ADV”) for more information in the investment advisory programs available. The Morgan Stanley ADV is available at www.morganstanley.com/ADV. 24Tax laws are complex and subject to change. Morgan Stanley Smith Barney LLC (“Morgan Stanley”), its affiliates and Morgan Stanley Financial Advisors and Private Wealth Advisors do not provide tax or legal advice and are not “fiduciaries” (under ERISA, the Internal Revenue Code or otherwise) with respect to the services or activities described herein except as otherwise provided in writing by Morgan Stanley and/or as described at www.morganstanley.com/disclosures/dol . Individuals are encouraged to consult their tax and legal advisors (a) before establishing a retirement plan or account, and (b) regarding any potential tax, ERISA and related consequences of any investments made under such plan or account. 26Morgan Stanley Smith Barney LLC (“Morgan Stanley”), its affiliates and Morgan Stanley Financial Advisors and Private Wealth Advisors do not provide tax or legal advice. Clients should consult their tax advisor for matters involving taxation and tax planning and their attorney for matters involving trust and estate planning and other legal matters.